The anti-vaccination movement tends to be thought of as an American phenomenon. Such views have a strong hold in Europe as well – and are posing an increasing challenge to public health across the continent. 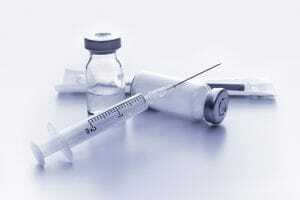 The movement is hampering progress towards elimination of the measles virus, says the World Health Organization (WHO) in a recent press release. The WHO notes that over 500 measles cases were reported in the WHO Europe region in January 2017 alone. This suggests vaccination coverage in these areas is inadequate. Following a surge in popularity of anti-vaccination movements in the USA after the election of President Donald Trump, the situation may be getting worse in Europe. Research has indicated that this is not an evenly dispersed phenomenon. France showed the most alarming statistics, with 41 percent of people involved in the study believing vaccines were unsafe. In Russia, 28 percent also had doubts, Greece follows closely with 25 percent doubting the efficiency of vaccines. In total, of the ten countries with the highest levels of distrust for vaccines, seven were within Europe. It is no coincidence then that the recent WHO figures place 474 of the total 559 cases of measles occurring in Europe within seven countries. These include: France, Germany, Italy, Poland, Romania, Switzerland and Ukraine. Portugal has also recently seen a highly publicised outbreak of measles. The death of a 17 year old girl due to measles is the first death since the country declared the disease eradicated. The girl was not vaccinated, though reportedly for allergy related reasons. Of the seven nations with the most cases of measles, Romania and Italy currently have the largest outbreaks. Romania currently reports over 3400 cases and 17 deaths since January 2016 (as of 10 March 2017). These outbreaks have all occurred in areas of low vaccination prevalence, testament to the fact that the only way of eliminating a disease is a comprehensive coverage of vaccination to prevent recurrence. The WHO analysed the genotype (the genetic sequence) of the strains of measles currently widespread in Romania. The results of the analysis indicated three strains of measles were present, none of which were spreading in Romania before January 2016, but had been present in other European countries during 2015. The implications of this is that either a single person, or a small number of people infected with the measles virus travelled from a country in which these strains already occurred to Romania. This has resulted in 3400 cases in just over a year. The capability for global transportation means that at any point, an infected individual may spread the virus to another country, resulting in untold numbers of people being infected, each with the potential of infecting more. The measles virus is notoriously contagious. Though not often lethal if occurring in a healthy individual, it has the potential to cause life altering symptoms if occurring in a person co-infected with another condition, or if they are malnourished or immunocompromised. Measles does have the potential to be fatal under these circumstances or those who are just unlucky. It is this virulence that is of importance to the WHO, as it gives the virus the ability to undo decades of work in eradicating the disease. Although the measles virus was not a big killer the time a vaccine was developed, largely due to advancements in healthcare as well as better nutrition, it still presented side effects. These could be severe, such as encephalitis (swelling of the brain) or loss of hearing. In 1963 the first measles vaccine was licensed in the US, based on work from ten years previous to this on a strain of the virus isolated from an 11 year old boy named David Edmonston by Dr Thomas C. Peebles. 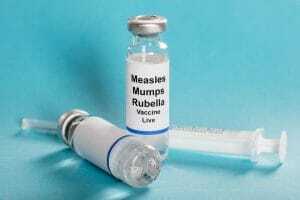 The measles vaccine was eventually incorporated into the MMR (measles, mumps and rubella) vaccine, which was shown to be a worldwide success in eliminating measles, with two doses showing a 97 percent success rate in protecting against the disease. A major upset to the cause of eliminating measles came in 1998. As previously mentioned in a Hyderus article, a doctor named Andrew Wakefield published a fraudulent report in The Lancet which purported to show a link between vaccination and autism. This claim was refuted, as his study was hugely biased, and rife with ethical violations. There was a sample size of twelve children, who were found to have been selectively chosen to give the intended result, rather than randomised. Alongside this it was found that Wakefield’s financial backers, lawyers suing companies producing the vaccine, were by no means unbiased. Wakefield was struck off the medical register in the UK and will never again be allowed to practise medicine in the country. Despite studies proving this biased and retracted report to be false, it has stuck in the public’s mind. There are now growing numbers of anti-vaccination believers, seemingly worldwide. To add fuel to the fire, US President Donald Trump himself entertains the idea, with twitter comments dating back several years expressing his agreement that vaccinations cause autism. More recently, President Trump has hosted Andrew Wakefield himself at a fundraiser in August 2016. This pandering to a person whose views have been both disproven, as well as deemed dangerous to public health has the potential to massively hinder the cause of disease elimination. Anti-vaccine sentiment has even gone as far in Italy to have been proposed as a potential law by the Five Star Movement. Its leader, Beppe Grillo, has campaigned for years for the reduction in vaccination, believing vaccines to cause a host of side effects and often being as bad as the diseases they try to prevent. Coincidentally, the measles outbreaks in Italy have largely centred on regions electing mayors belonging to the Five Star Movement. The implication being that the voters of the party are refusing vaccinations, and so becoming more at risk to the diseases they prevent. This normalisation of disease outbreaks is worrying, especially when taking into account the existence of a vaccine with a 97 percent efficacy. The fact that recurrently the areas where distrust in vaccine safety — leading to lower vaccine coverage — results in outbreaks of diseases officially declared eliminated by the country should be message enough that vaccines are vital to the elimination of disease. Despite this, measles vaccine coverage is reducing further below the WHO aim of 95 percent every year in a number of European countries. Simultaneously outbreaks of measles are occurring more frequently. “With steady progress towards elimination over the past 2 years, it is of particular concern that measles cases are climbing in Europe,” says Dr Jakab, The WHO is clearly concerned this will lead to work towards elimination being reversed in the coming years if the trend continues.